Err I don't even know where to begin. 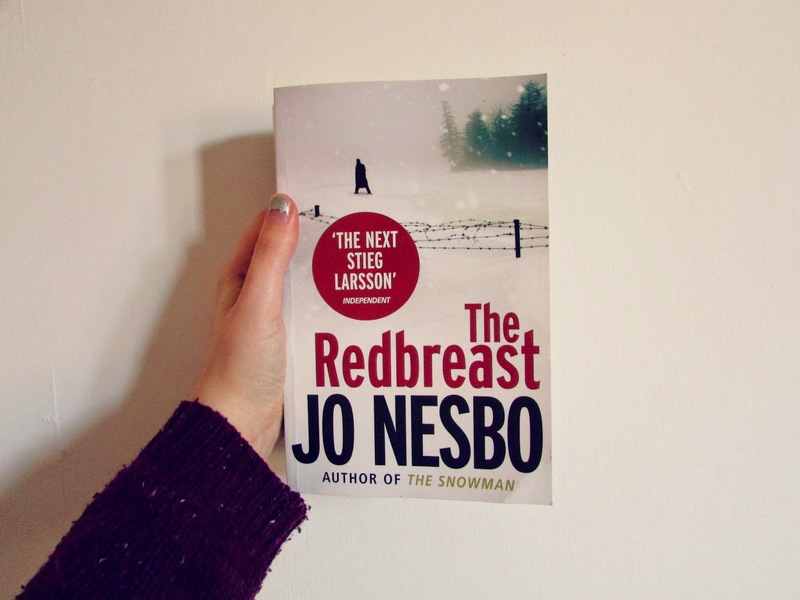 I have previously reviewed The Bat and Cockroaches by Jo Nesbo, also of the same character, Harry Hole. This book was very different. I think that there is a jump between the previous two books and this one, this one is set in Oslo, unlike the last two. The Redbreast also has quite a different structure to it. Same typical alcoholic, single, unlucky in love detective but this book has sections set in 1994 as well as 1999. I honestly am finding this so hard to write about because I couldn't grasp who all the characters were. Which is also part of the way it's written, so I'm not complaining, it just makes it very hard to keep track, and hard to unravel what actually happened in your head. You are left unsure if you even understood who anyone was! And some parts seem to be left unsaid at the end, maybe this is on purpose again, I hope so! I will obviously write up reviews for when I read the next books and it'll hopefully all become clear. For now I'll leave you with, this is confusing and hard to read at times, a little frustrating, but real and raw. And different. I've never heard of the book or the authort before, it sounds interesting! I don't like books like that. they make me not want to read them. A book can be real, raw but yet not difficult .. right? I agree.. to easy is dull indeed! I recently read a book.. but I didn't understand a thing in the first 2/3 paragraphs. & it's a very thick book. You know, so It can be difficult.. but yet interesting and mysterious type of thing, which keeps me reading to find ... Instead of a book that you absolutely don't know who's who.. what's it about.. etc. .. Am I making any sense here :P?